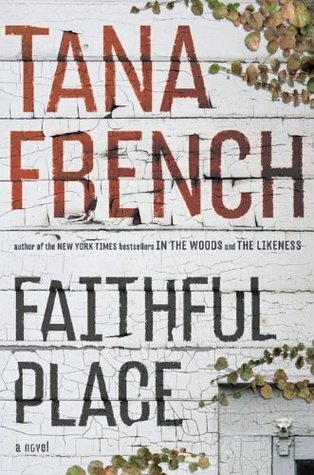 This is the first of Tana French’s books that I have read. I have always meant to read the other two, In the Woods and The Likeness, but haven’t gotten around to them yet. I picked up this because it was a group read for a mystery club on Goodreads. The story primarily centers around a missing woman, who had apparently ditched her young boyfriend and run off years before, at least that was what was assumed, until her suitcase turns up. The characters, especially Frank and his family, are painfully realistic, very well done. The mystery unfolds as Frank, who is now a police officer with a child, returns to the place of his youth and investigates. The suspense builds at a good pace for a thriller. I finished the book in one sitting. The mystery plot was intriguing and I didn’t figure it out beforehand. The subplots were just as interesting, Frank and his family and Frank and Olivia. The damage done to Frank by his family and the early loss of Rose is an integral part of his character. A character study in love, loss, and family, as dysfunctional as it may be. The only thing negative I have to say is about the ending. After the mystery plot is resolved the story continues on for a little while and though there are some parts that are significant and add to the resolution, the rest of it just seems drawn out. Interestingly enough that is the same criticism that I have heard about Into the Woods. This however is just a minor hiccup in an otherwise excellent thriller.